Islamabad, April 13 (Dawn): In a landmark verdict that will change the course of Pakistan’s political history, the Supreme Court on Friday ruled that disqualification handed down under Article 62 (1)(f) of the Constitution is for life. The verdict was issued unanimously by all five judges of the bench. Article 62(1)(f), which sets the precondition for a member of parliament to be “sadiqandameen” (honest and righteous), is the same provision under which Nawaz Sharif was disqualified by a five-judge SC bench headed by Justice Asif Saeed Khosa on July 28, 2017, in the Panama Papers case. Likewise, Pakistan Tehreek-i-Insaf (PTI) leader Jahangir Tareen was disqualified on December 15,2017 by a separate bench of the apex court under the same provision. It has been stated in the decision read out Justice Umar Ata Bandial that the disqualification of any member of parliament or a public servant under Article 62 (1)(f) in the future will be permanent. Such a person cannot contest elections or become a member of parliament. Chief Justice Mian Saqib Nisar, who was heading the bench, remarked before the verdict was announced that the public deserves “leaders of good character”. A detailed version of the judgment is currently awaited. Senior journalist Mazhar Abbas while commenting on the SC verdict said that the judgment will have its political implications. “Nawaz Sharif will intensify his narrative and it will be difficult for [PML-N president] Shahbaz Sharif to take a different line from the one being towed by [his brother],” he said. Abbas opined that the timing of today’s verdict and the one yet to be announced by the accountability court will decide the tone of PML-N for the upcoming general elections. He said the PPP had repeatedly told Nawaz Sharif to let the parliament decide the fate of politicians, “but he did not listen and went to the SC”. “Nawaz Sharif himself supported Article 62 and he has been caught in his own trap,” Shah claimed, adding that Articles 62 and 63 could have been eliminated through the 18th Amendment but Sharif did not agree to do so. A five-judge bench ─ headed by CJP Nisar and comprising Justice Sheikh Azmat Saeed, Justice Umar Ata Bandial, Justice Ijazul Ahsan and Justice Sajjad Ali Shah ─ had on February 14 reserved judgement on 17 appeals and petitions challenging the length of disqualification under Article 62(1)(f) for possessing fake degrees. Whereas, the verdict held, the disqualification under Article 62 was of permanent nature and a person had to fulfill certain qualifications/conditions to become eligible to be elected or chosen as a member of parliament. Thus Article 62 did not provide any period after which a person, who was declared disqualified under this article, could be eligible to contest the elections, it said. 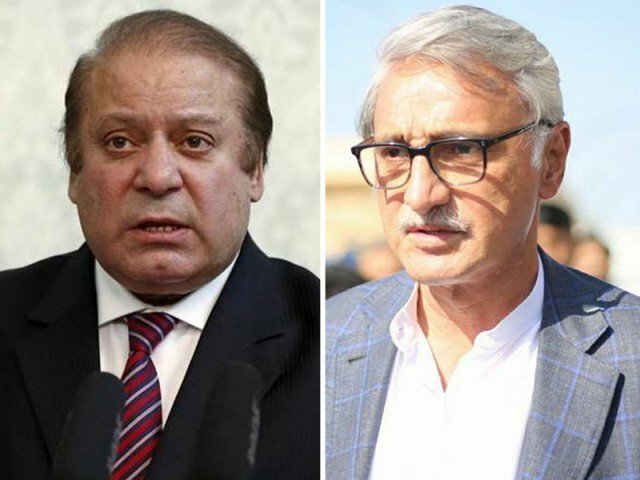 Legal observers say the Supreme Court has handed down different verdicts on the disqualification of legislators like in the case of Iftikhar Ahmed Cheema who was unseated in 2015 from the NA-101 constituency for concealing assets. Subsequently, he contested the by-election and regained his seat. But in the case of Rae Hassan Nawaz, the apex court disqualified him under Article 62(1)(f). Likewise, the court allowed Jamshed Dasti to contest the election, but disqualified Rizwan Gill, Samina Khawar Hayat and Amir Yar under Article 62(1)(f) of the Constitution.